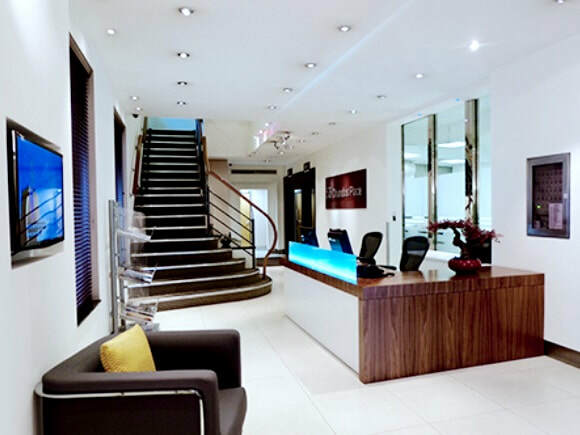 Chandos Place office space rental is a well-equipped Business Centre that is well positioned for Charing Cross and even has its own parking facilities. Information technology support is offered to all residence within and workspace is fitted out with telephony and internet points. Available with inclusive desks, chairs and storage drawers per person, these serviced offices for rent are all served by a main reception, which can take company telephone calls and offer secretarial assistance upon request. Use of office machinery is also on-site if needed. Air-conditioning is standard throughout the building and there is 24-hour access to office suites for out of hours working. For bespoke office layouts, it is also possible to have certain offices configured to a specific requirement.